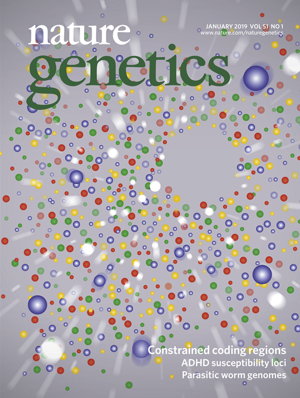 Coding variants represent many of the strongest associations between genotype and phenotype; however, they exhibit inter-individual differences in effect, termed ‘variable penetrance’. Here, we study how cis-regulatory variation modifies the penetrance of coding variants. Using functional genomic and genetic data from the Genotype-Tissue Expression Project (GTEx), we observed that in the general population, purifying selection has depleted haplotype combinations predicted to increase pathogenic coding variant penetrance. Conversely, in cancer and autism patients, we observed an enrichment of penetrance increasing haplotype configurations for pathogenic variants in disease-implicated genes, providing evidence that regulatory haplotype configuration of coding variants affects disease risk. Finally, we experimentally validated this model by editing a Mendelian single-nucleotide polymorphism (SNP) using CRISPR/Cas9 on distinct expression haplotypes with the transcriptome as a phenotypic readout. Our results demonstrate that joint regulatory and coding variant effects are an important part of the genetic architecture of human traits and contribute to modified penetrance of disease-causing variants.